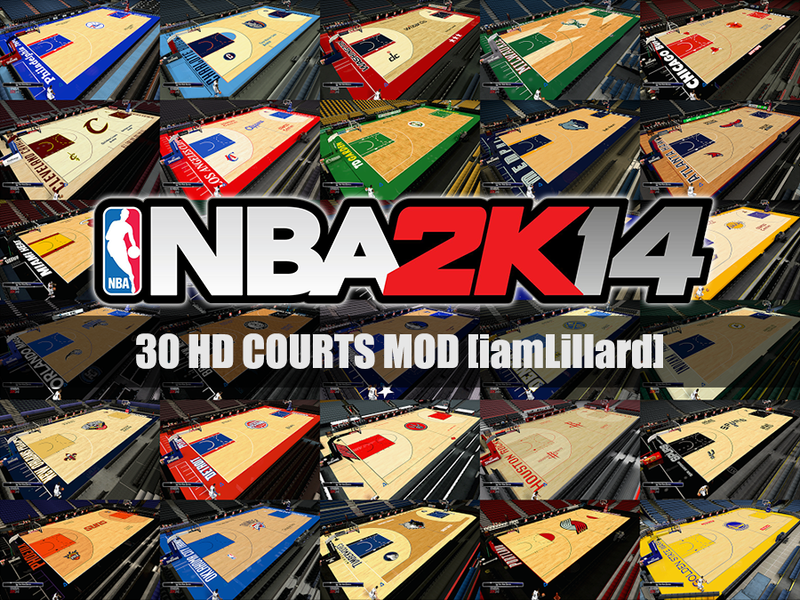 NBA 2K14 mod pack for PC that contains courts for all the present NBA teams (2013-2014). 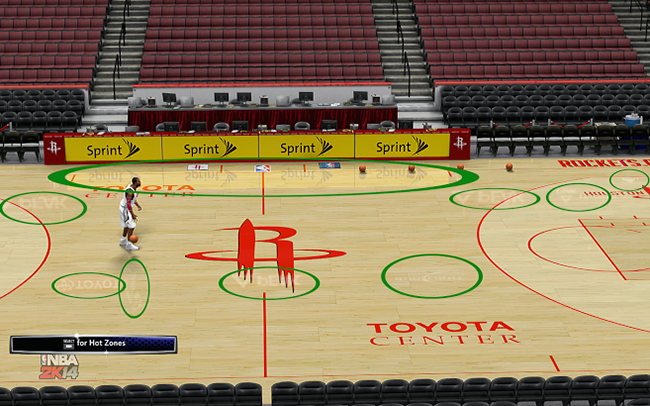 This increases the realism of the game by correcting all the floor designs to match the real-life courts. As far as making it look "HD", all the textures were increased to 4096 pixels. Recent Changes: Applied new reflections to all the floors. Includes: Wells Fargo Center, BMO Harris Bradley Center (Old & New), Verizon Center, United Center, Quicken Loans Arena, TD Garden, Staples Center, FedExForum, Philips Arena, American Airlines Arena, New Orleans Arena, EnergySolutions Arena, Sleep Train Arena, Madison Square Garden, Amway Center, American Airlines Center, Barclays Center, Pepsi Center, Bankers Life Fieldhouse, The Palace of Auburn Hills, Air Canada Centre, Toyota Center, Chesapeake Energy Arena, AT&T Center, US Airways Center, Target Center, Moda Center, Oracle Arena, and Time Warner Cable Arena. Question: The court for the Kings, Bucks and Magic didn't change. What should I do? Answer: If you have updated your game to the latest patch, you'll notice that there are floor files (f###.iff) in your 'downloads' folder. Those files override the standard files in your main game directory. 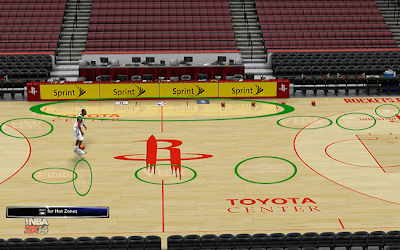 Question: Why am I seeing blurred team logos and court lines? Answer: Make sure to set the texture quality settings to high (in-game video settings). If the problem still exists, set the anisotropic filtering to 8x or 16x (video card control panel). As of 11/27/13, there are 3 floor files in the downloads folder: f001.iff (Bucks), f013.iff (Kings) and f016.iff (Magic). Option #1: If your game is NOT connected to the server (non-activated), you can simply delete the floor files and move the remaining into NBA 2K14 game directory. The new content (shoes, jerseys etc) will still appear in the game, although you're gonna need to do this everytime you install an official roster patch. Option #2: If your game is connected to the server (activated/legit copy), you can either play offline (disable internet) or delete the files after the game has fully loaded (NBA 2K14 home menu). You're gonna need to do this everytime you restart the game. Option #3: You can also replace/overwrite the 3 floor files with the files included in the mod pack and set it all to 'READ-ONLY' to prevent the game from clearing your 'downloads' folder. Press [CTRL + A] on your keyboard to highlight/select all the files then choose 'Properties' > put a check on the 'read-only' attributes then click OK.
Option #4: Quite similar to option 3, you can delete the 3 floor files in the downloads folder and set the rest to 'READ-ONLY'. Of course this will only work for non-activated copy (offline). Option #5: Leave it like that. 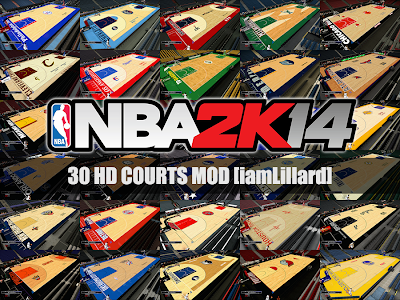 After all, it's just three courts from 2K Sports.